Africa is a magical paradise filled with extraordinary animals and wonderful areas to explore. It is filled with amazing wildlife and unique cultural artistic styles. Those who have made the journey to the various regions, exploring the many animal reserves, recount exhilarating stories of their adventures. 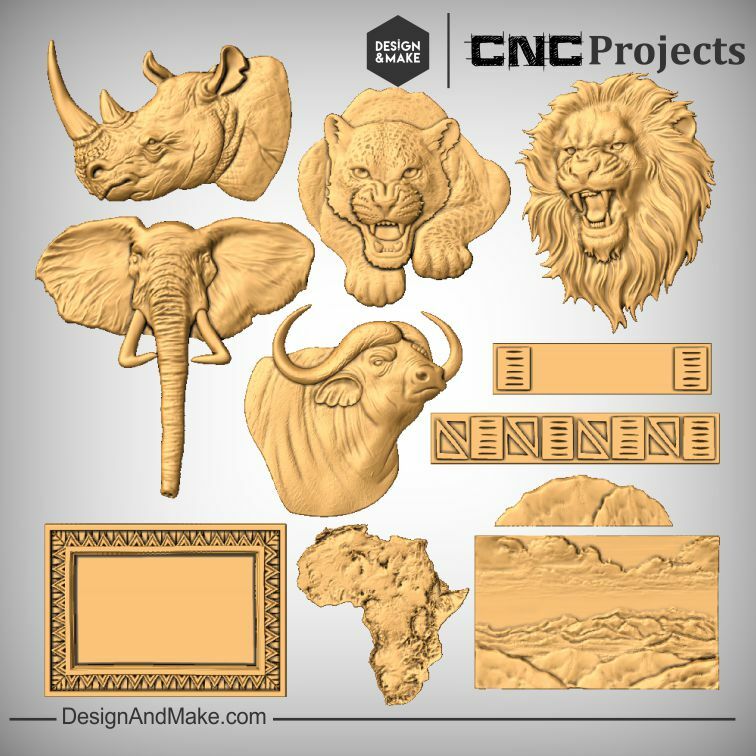 Design and Make has now encapsulated many of these elements into five African projects that offer a unique collection of animals, scenery, and artwork of this vast continent. 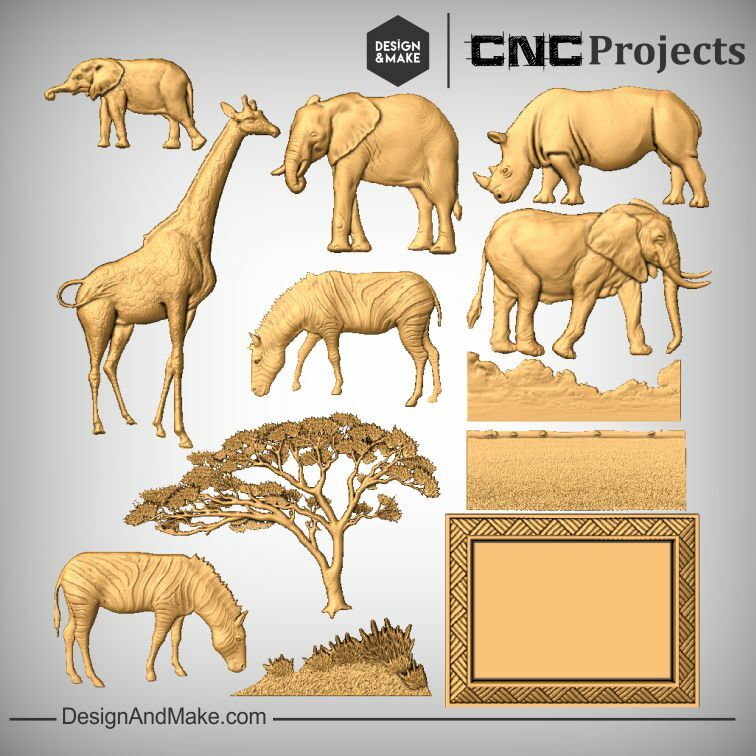 Our African Safari projects have been created and curated so that you can express your personal story within your next woodworking project. 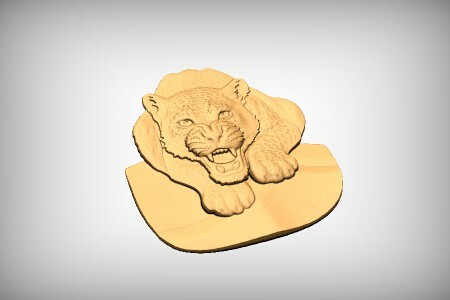 Whether making a box to hold cherished keepsakes, a mantle for that fireplace or a wooden wall carving for your home. Any of these items will delight, engage and may entice others to also explore these amazing regions. 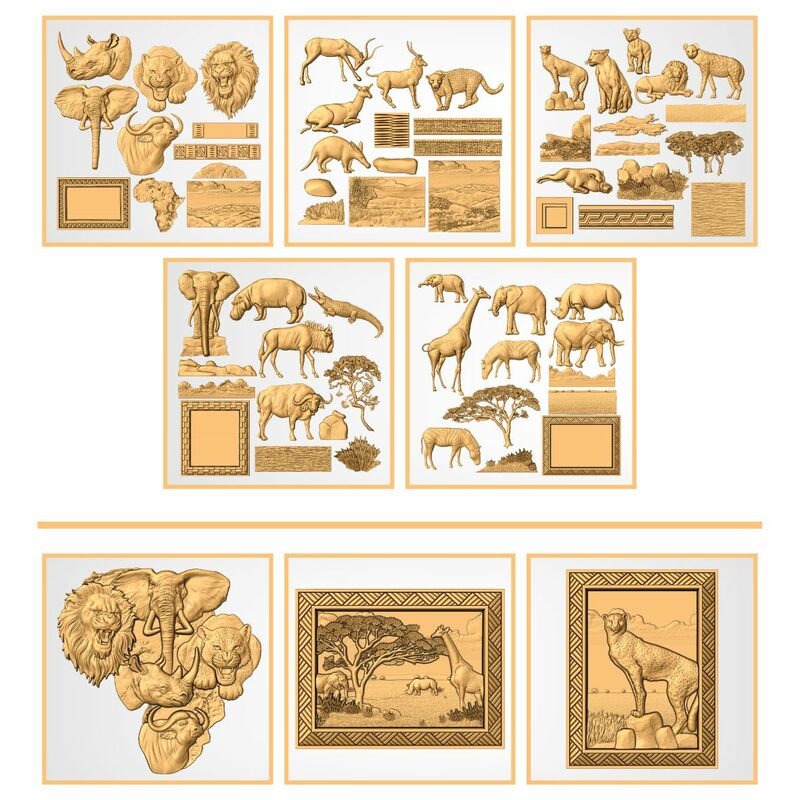 Perhaps redesign a room in your home with an African inspired theme or use one of the included, assembled, layouts to create unique wall art. Maybe assemble your own scene; capturing the culture, scenery and the animals that live in the varied climates of Africa. 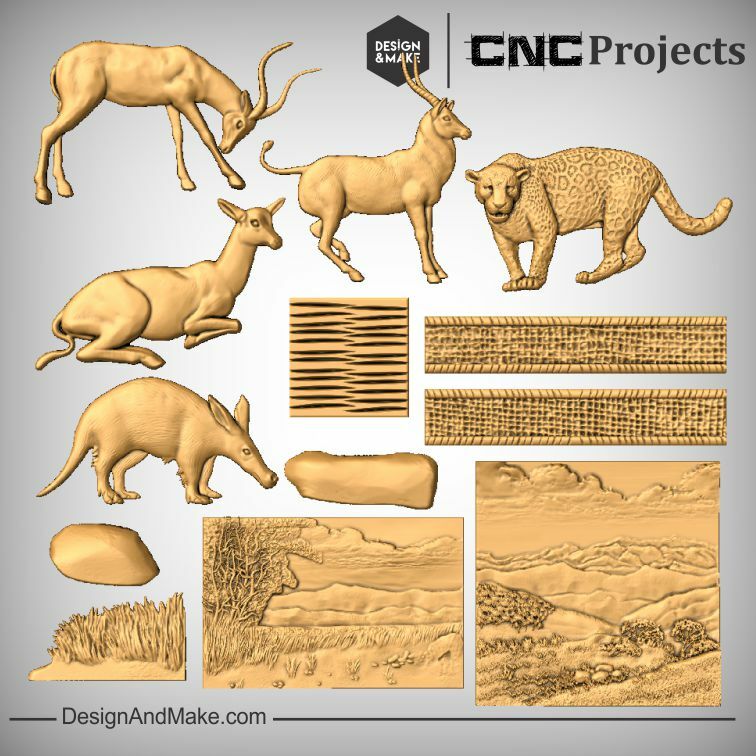 There are many options to mix and match models from all of the African Safari projects (including models you may have already in your library). This collection is the beginning of your amazing adventure across the plains of Africa! NOTE: Some of the models in this project are available in other Design and Make Projects or as single models sold in the Design and Make Store. This project will not be prorated based on any previous purchases if you find that you already own models that are included in this project. This project is part of the African Safari Collection that includes all 4 African Safari model projects and our Big Five model project. On this page, you are able to purchase this individual one for $55.00*, before you purchase one or two though you might want to know that if all 5 are purchased at one time you save $119.00* on the total purchase price and pay only $200.00*. 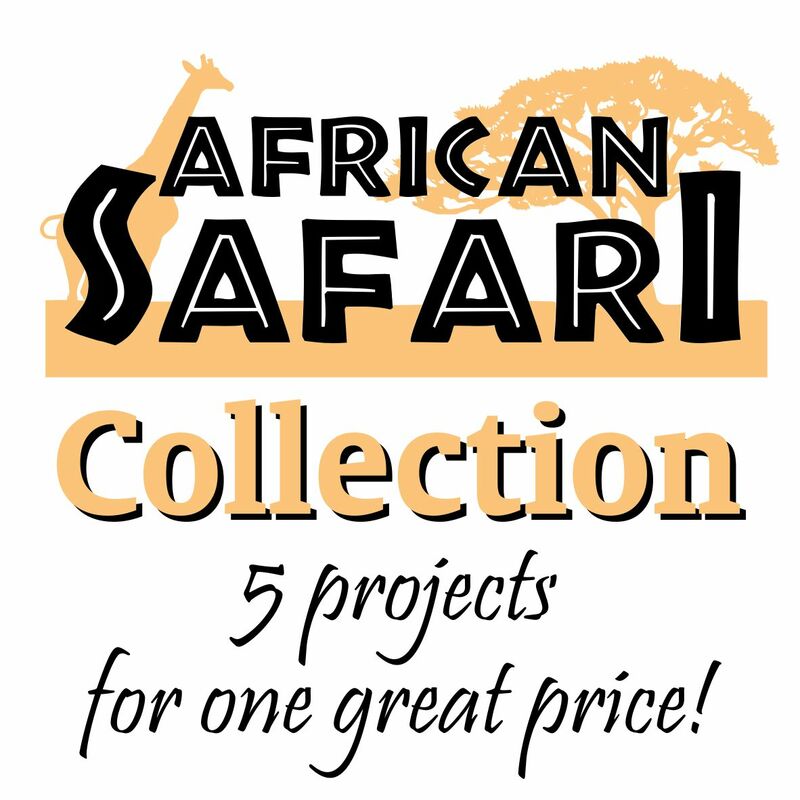 This discount is only available with purchases of all five projects made from our African Safari Collection page and cannot be retroactively applied after buying the individual projects. 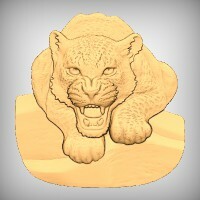 The African Safari No.2 project contains the following models and project sheet. 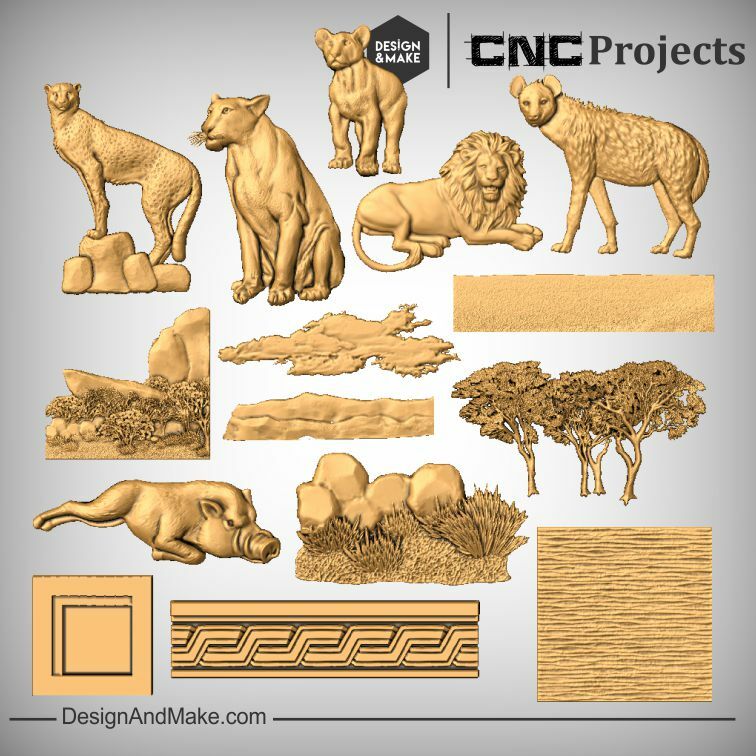 To get you started on your next weekend project we have included these assembled layouts.